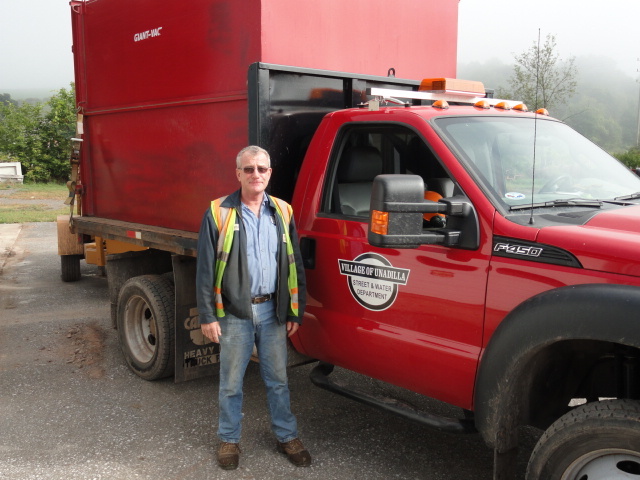 The village crew are responsible for many different tasks throughout our village. On any given day they could be paving streets, fixing potholes, clearing storm drains, shoveling snow, or plowing. They also mow grass, trim weeds, pick up brush, branches, and lawn waste, they also lay new sidewalk, plant trees, and open ditches. They take care of our water system by repair and replacing water mains, change, read and repair water meters, hook up new water services, thawing frozen services. They also maintain all the village property and buildings doing everything from plumbing and electrical to painting and roofing. 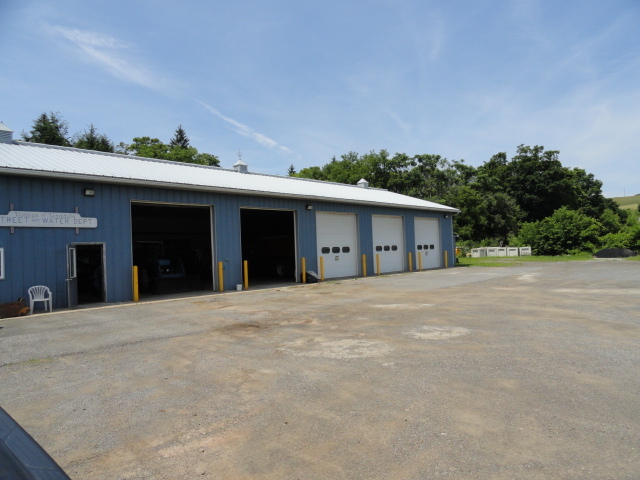 They also do all the scheduled maintenance on village equipment including the Fire trucks. 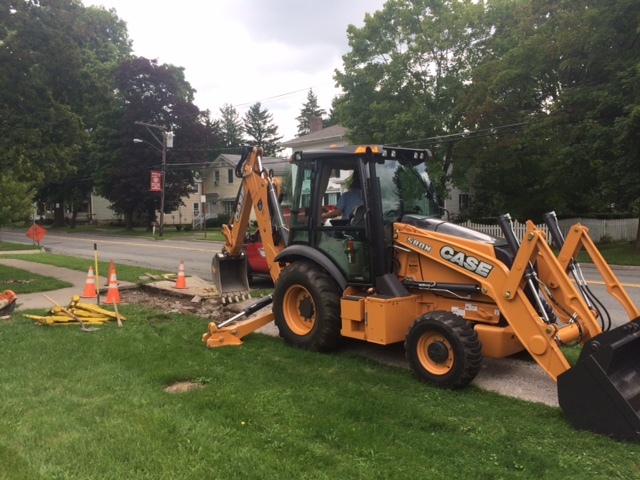 The crew is currently working on sidewalks in the village in front of the school. 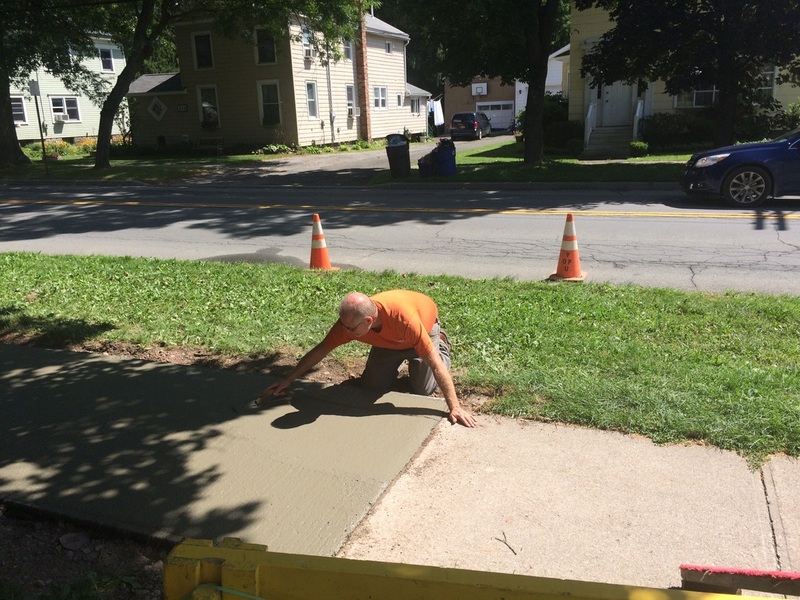 In the next couple of weeks they will be doing some small paving jobs on streets throughout the village and finishing the remaining sidewalks planned for this year. They are also cleaning leaves out of the drains. 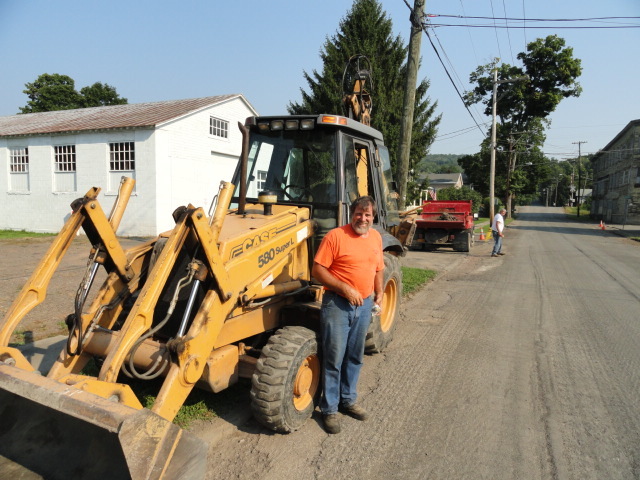 The village has just purchased a new Backhoe to replace the 26 year old one in the photo below. We got a great deal on a leftover 2015 with 0 hrs. Check it out the next time you see it working in the village. 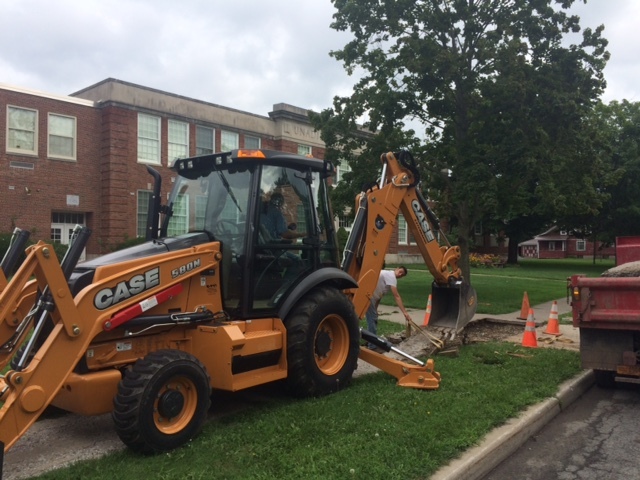 The New Backhoe working on school sidewalk.